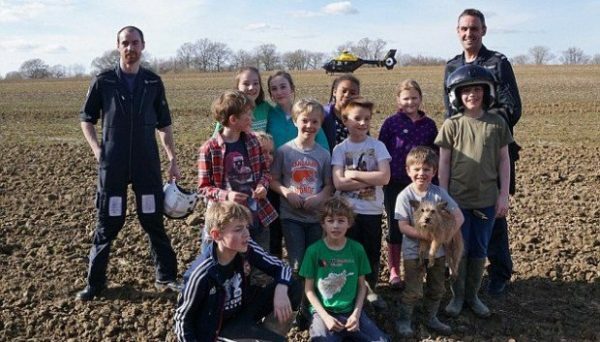 When twelve children in Surrey, England spotted a criminal during an Easter egg hunt, their first instinct was to do everything they could to help the police. They wanted to do whatever they could to help their heroes. They had no way to tell the police officers who were above them in a helicopter, so the kids had to think fast. That’s when they came up with a brilliant idea. One of the kids shouted “let’s get into an arrow!” At first, the officers thought it was a prank, but when they realized what the kids were doing, they managed to locate and apprehend not one but two suspects. Minutes later, the police landed their helicopter in front of the kids and praised their quick and clever thinking. Most of us see the childish spirit as a weakness. However, that playful, childhood spirit is probably our greatest superpower. That’s the source of all your creativity, and with creativity you can solve everything!